A theme on the runways this spring is Sheer Beauty. Opaque clothing is no longer the in vogue look – evidenced by layered translucency and an overall free look. Designers who displayed this sheer look include: Emporio Armani, Victoria Beckham, Simone Rocha, Burberry, and Calvin Klein, to name just a few. Below you will find spring items to incorporate into your wardrobe to keep you in style and bring you sheer delight. Look, click, shop, and enjoy! Women’s Misty Silk Trim A-Line Skirt by alice + olivia . $109.99 (Originally $385). CLICK IMAGE FOR DETAILS. 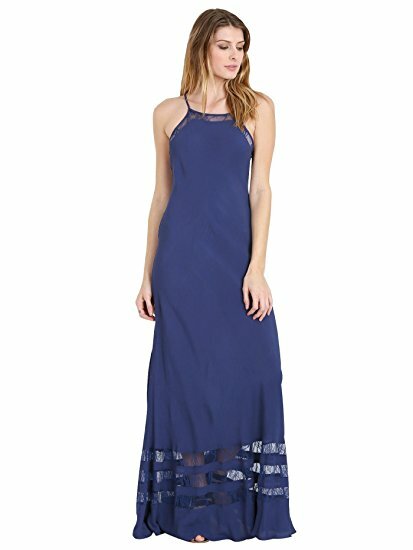 Lovers+Friends Sheer Bliss Maxi Navy. $90. CLICK IMAGE FOR DETAILS. Songbird Romper for Women by Lovers+Friends. The definition of beauty is this Songbird Romper. 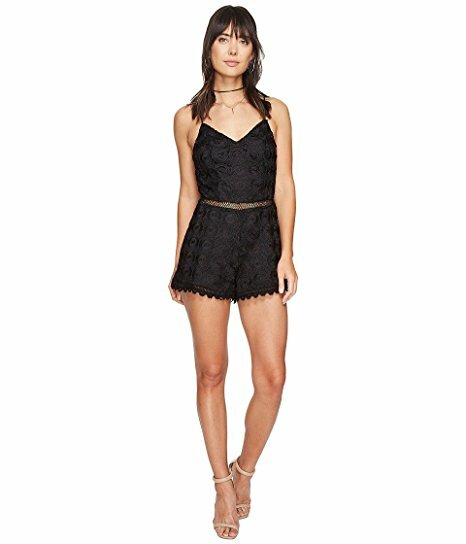 The romper contains a relaxed fit and allover lace design. It also features adjustable spaghetti straps, a sheer woven panel at waist, and a flirty cutout at back.$80. (Originally $188). CLICK IMAGE FOR DETAILS. 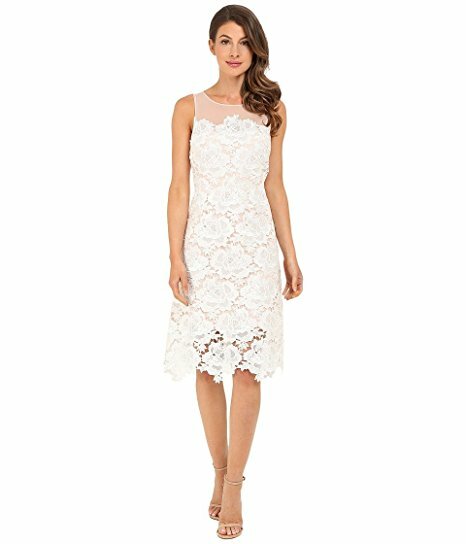 rsvp Women’s Alsace Lace Dress. Sow the seeds of charming chic in the Alsace Lace Dress. A lightly fitted sheath dress with a lightly flared A-line skirt. The dress contains an intricately patterned floral lace overlay. $135.15. CLICK IMAGE FOR DETAILS. Pleated Ciena Bow Dress by RSVP. Dance with delight and shine in the limelight in this show-stopping RSVP dress. The dress is pleated with gathered fabrication with a smooth finish. $53. CLICK ON IMAGE FOR DETAILS. WAYF Sheer-Hem Dress. 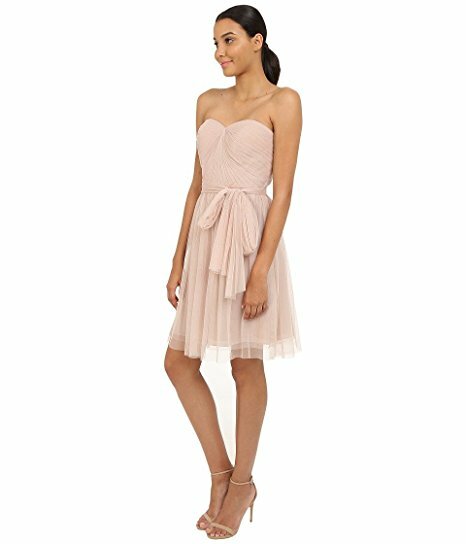 A party-perfect pick, Whisper-weight stunner by WAYF flaunts a sheer hem for a look that’s equal parts elegant and ethereal. $81. (Originally $108). CLICK IMAGE FOR DETAILS. For Love & Lemons La Bella Strapless Midi Dress. A beautiful combination of classic lace and contemporary sheerness makes this strapless midi, designed with supportive boning, a romantic ensemble. $304. CLICK IMAGE FOR DETAILS. Interested in sorting though and shopping for all the items contained in Fashion and Invites’ posts? Visit Our Shop. Our Shop features all the clothing and accessories from our individual posts. All items are sortable by dresses, bags, shoes, jewelry, and more. Happy shopping!